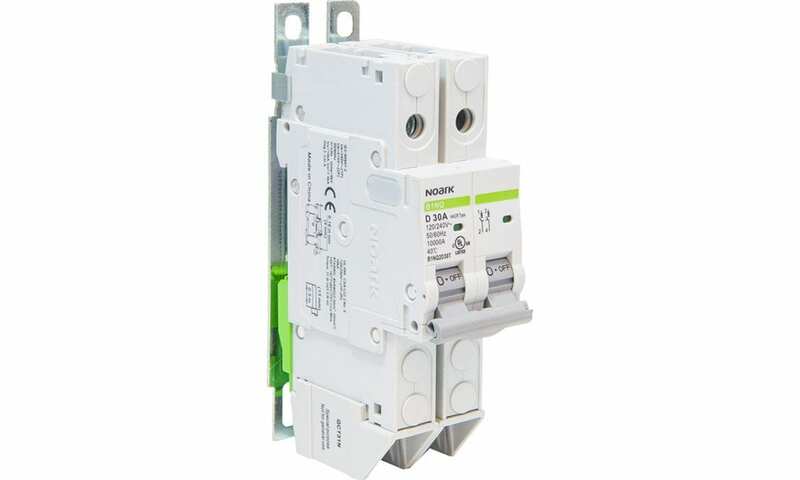 Pomona, California – NOARK Electric, a low-voltage electrical product manufacturer, announces its UL 489 B1NQ miniature circuit breaker is now a direct replacement for the common MCB when paired with the optional surface mount. 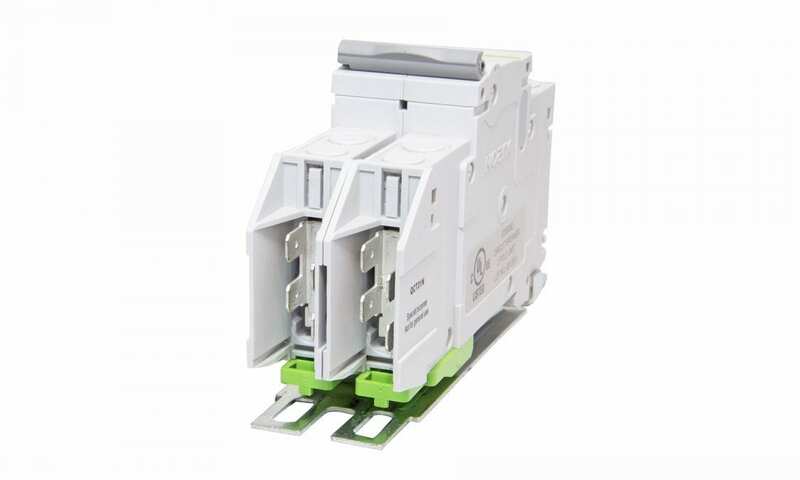 This recyclable, quick-connect breaker is available in three curves (B, C and D), ranges from 0.5 to 63 A and is compliant with UL/CSA/IEC standards for branch circuit protection in commercial and residential applications. While designed and engineered for the HVAC market, the HACR compatible MCB is also suited for a host of industrial applications and other component sub-assembly designs. The current-limiting B1NQ is thermal-magnetic and protects against short circuit and overload conditions. The 1- and 2-pole breaker, offered at 120/240 Vac provides optimum and efficient protection for branch and control circuits. 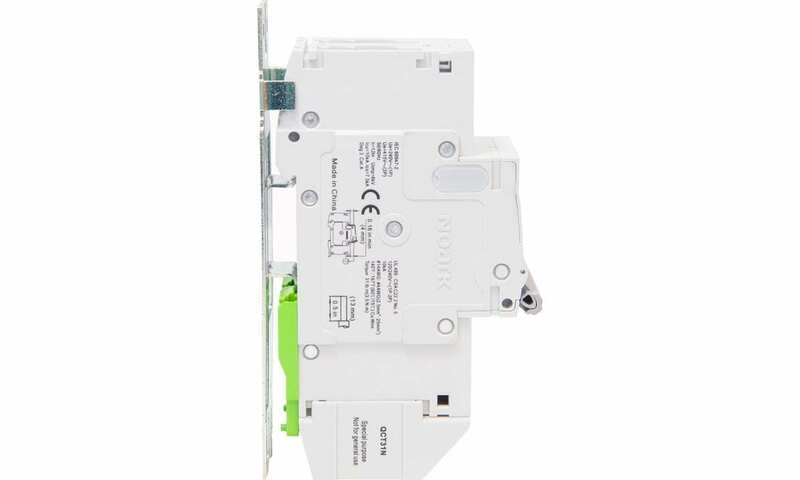 NOARK offers exceptional value with local support and inventory for a wide range of UL 508A panel designs, all backed by the industry’s first 5-year limited warranty. The B1NQ and surface mount attachment saves customers substantial time and money in both upfront cost and installation time. The surface mount is an exact match to the existing bolt hole pattern of the common, competing MCB and requires no additional drilling. With the surface mount in place, the B1NQ can be removed in as little as 7 seconds – over 300% faster than the common MCB. Installation takes seconds and simply requires placing the B1NQ onto the surface mount and clicking into place. Quick removal is possible by pulling down the clips with a standard screwdriver. The removable terminal shrouds offer the installer unmatched access to the terminals. 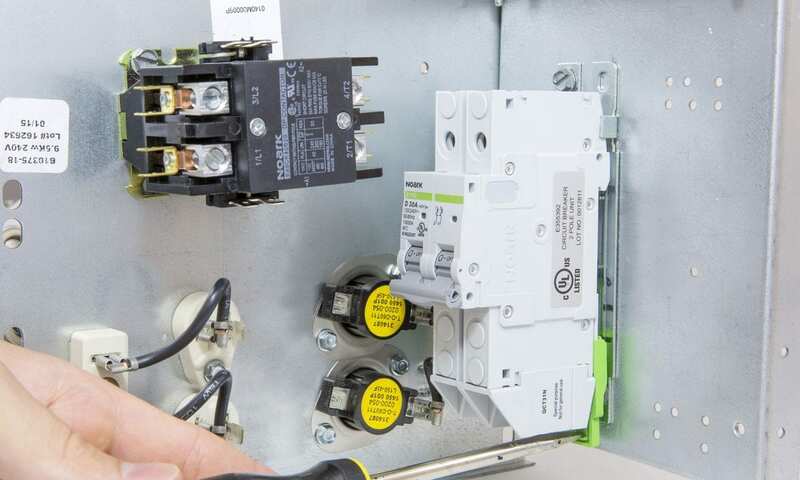 This feature saves users valuable time during installation and helps reduce the chance of wiring errors. With more space available, technicians in the field and factories are able to work quickly and accurately. Additional accessories are available including Comb Bus Bars and Rotary Handles. NOARK Electric (North America), located in Pomona, CA, is a global electrical component and intelligent control system supplier. The company is establishing a representative and distribution network to serve its primary markets, which include the building trades and electric panel board builders in various industries. As a global supplier, NOARK currently operates four R&D centers, three distribution centers, 15 office locations and employs over 1,000 associates. Sales currently exceed $2 billion worldwide.